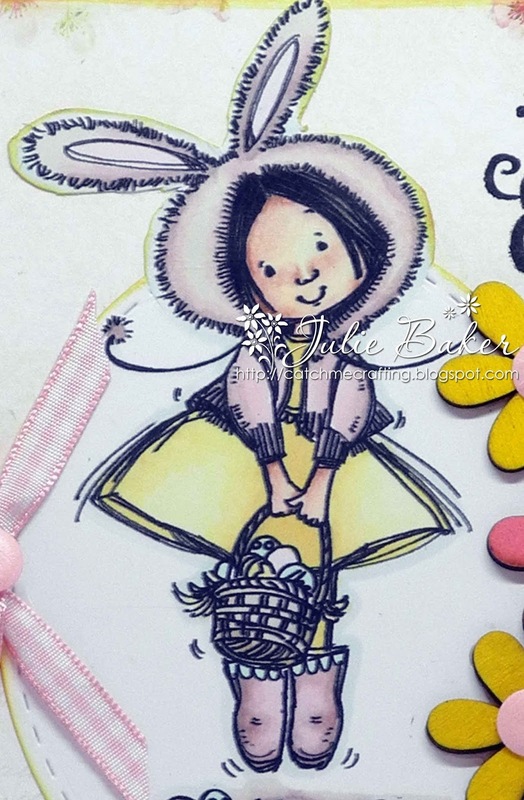 With Easter just about here, I thought I'd share Valerie Bunny with you - such a cutie from Mo's Digital Pencil. The papers are so yummy and I think from Crafts Too. 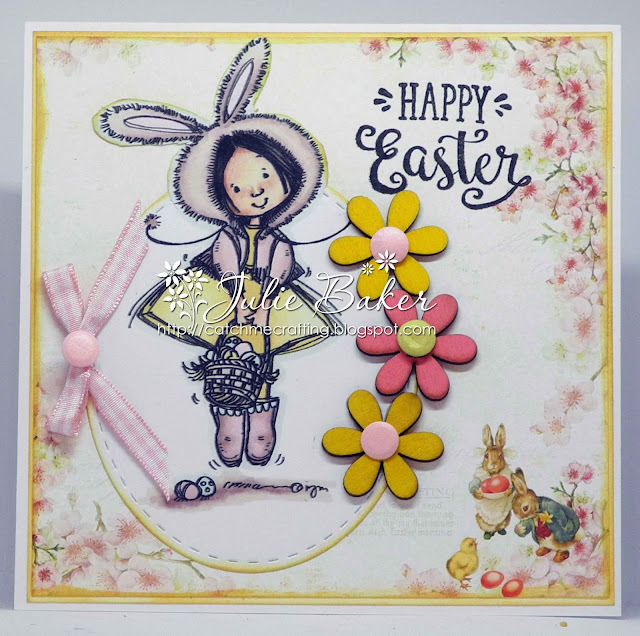 The image has been cut out with a Stitched Oval die from Marianne Designs and the Easter sentiment is also from Marianne although it is quite an old one. The flowers are some wooden ones from my stash and I added some Craft Confetti to the middles. The weather is glorious here at the minute so we'll be having an egg hunt in the garden followed by firing up the BBQ - enjoy your weekend! Morning - it's time for our new challenge at Passion for Promarkers and I'm the host for this week! So I've chosen one of my favourite things to be in the challenge - Patterned Papers! 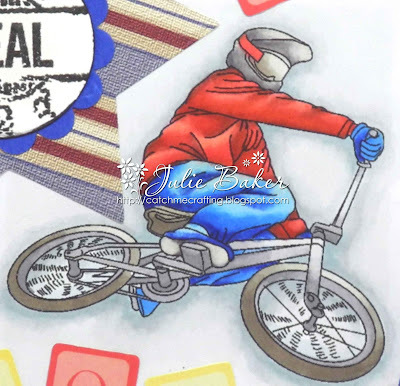 So dust off your paper pads, lay out your Promarkers and set to! 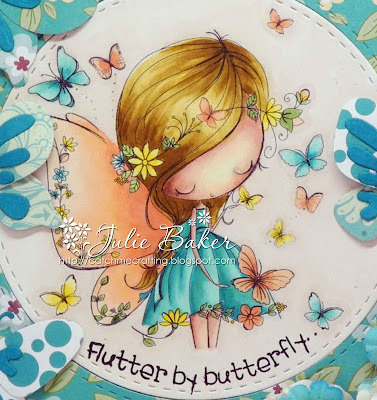 We're being sponsored by All Dressed Up digi stamps for the challenge and they really do have some of the most gorgeous images - I've chosen Butterfly Wings to work with and teamed her up with some Tonic Studio papers that are so pretty. 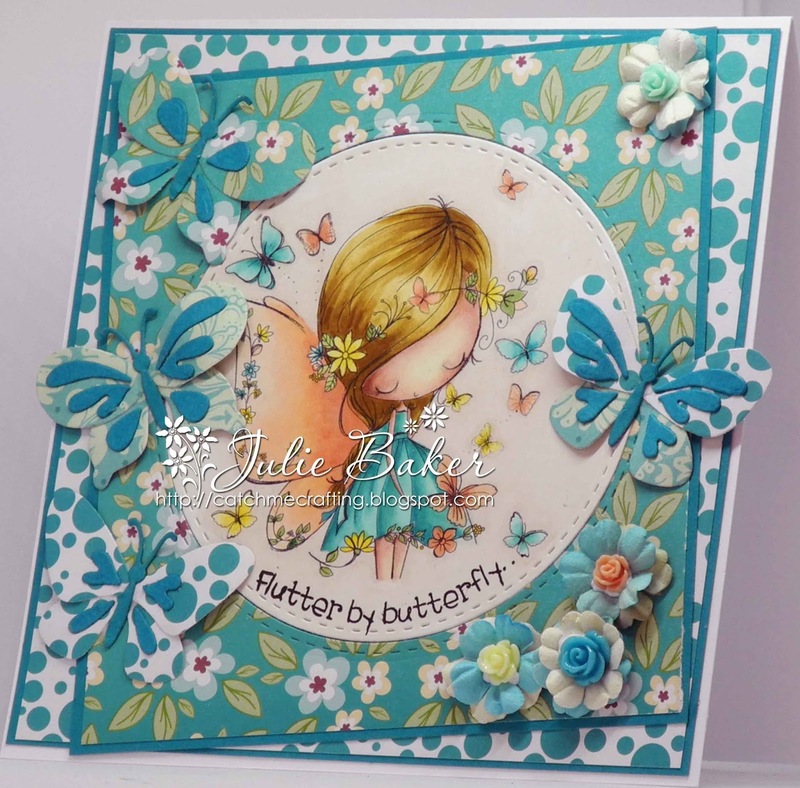 Butterfly set - COL1466 - NEW! 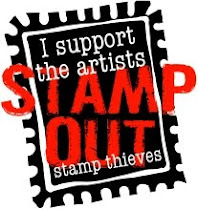 The sentiment is one I've had an age and I curved it slightly on the acrylic block so it followed the lines of the circle edge - I think it could be either Penny Black or Hero Arts but I've not got the packaging! As I said we're being sponsored by All Dressed Up for this challenge and they're offering the lucky winner of our challenge 2 digi images. So come and join in the challenge to be in with a chance of winning - I look forward to visiting your blogs to see your creations. 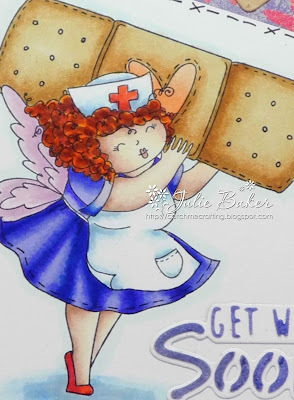 And don't forget to check out the fabulous makes of my teamies here - it's so lovely to see how we've used the same image and the different makes that they've made - fabulous! Marianne Designs Spotlight on Cats! I love this image from Mo's Digital Pencil - you can just feel the joy! It's called New Life Together and you can find it here in Mo's store. 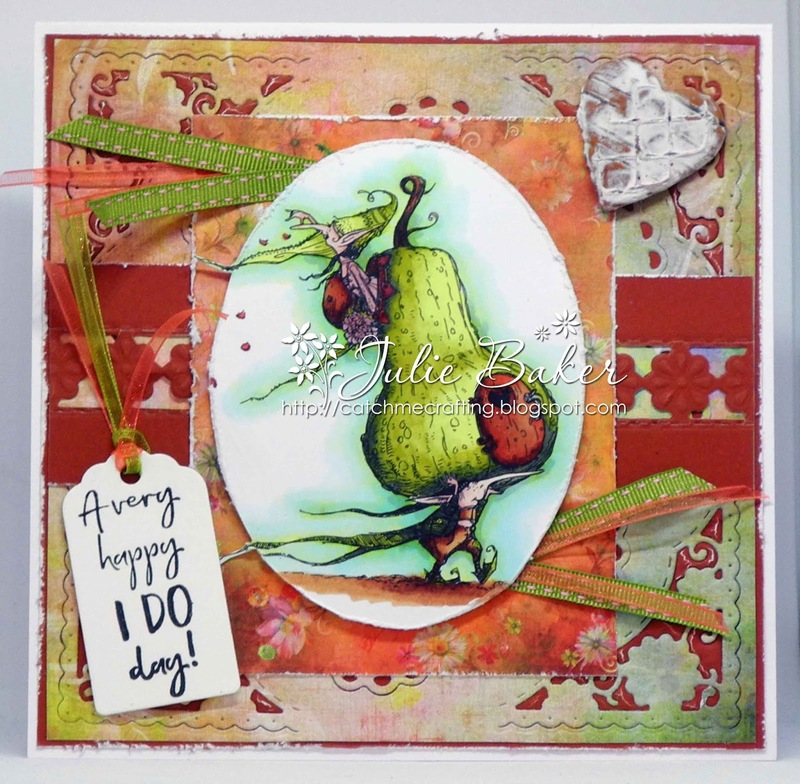 I've coloured it with tones that would make it great for an autumn wedding but I think it would be perfect for a spring wedding too! 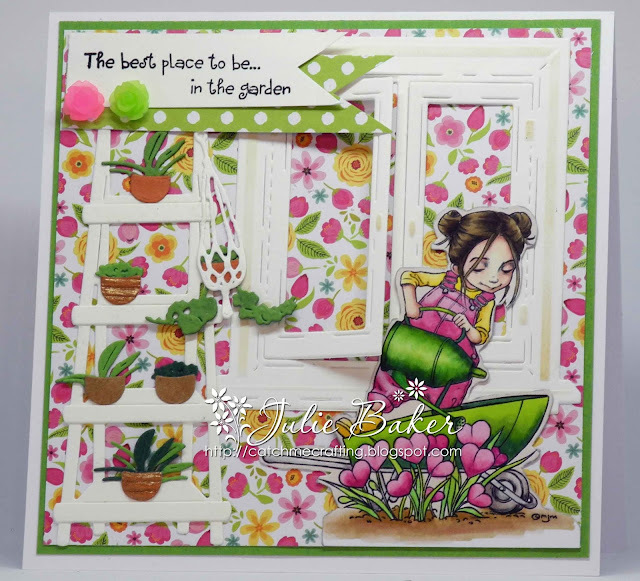 Happy Tuesday - the sun is shining up here so hope to do a bit of gardening later after a trip to the hairdressers! The challenges at Mo's Digital Pencil are back!! Yes, I hope you're doing a happy dance - we've had lots of requests to bring back the monthly challenges for Mo's Digital Pencil and so our first one starts today with an optional theme of Spring. 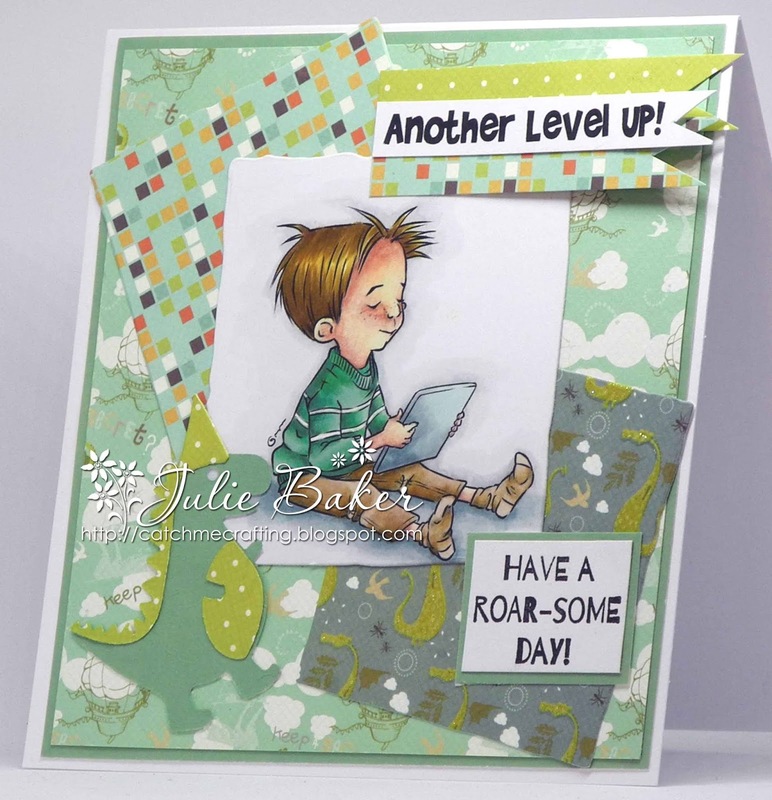 The Digital Pencil Too challenge blog is here if you'd like to see the inspiration from the Dream Team and a couple of special guest designers! And come and join in - you could be a guest designer on a future challenge!! 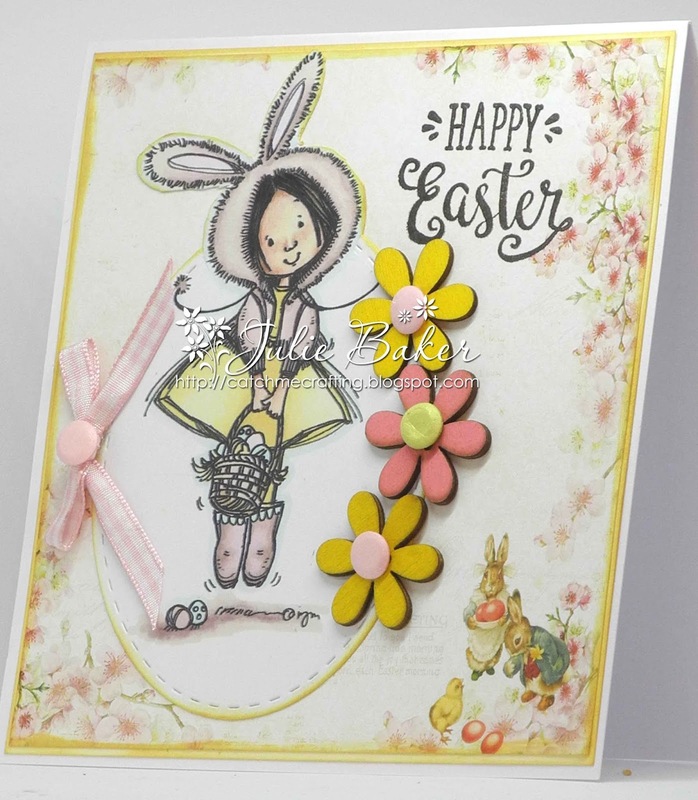 I've actually used a retiring image - Easter Carly - but she's still in the store at the minute so click on the link and grab her while you can!! 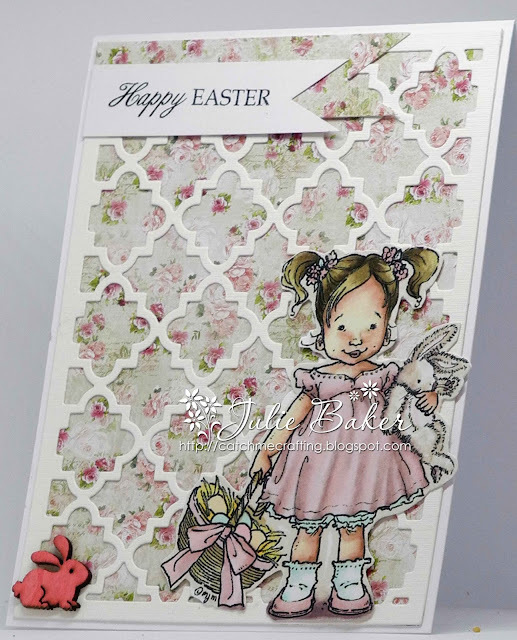 My papers are Maja Design and other than that I've kept it very simple - I'm not sure who the lattice die is by sorry - I've lost the packaging! 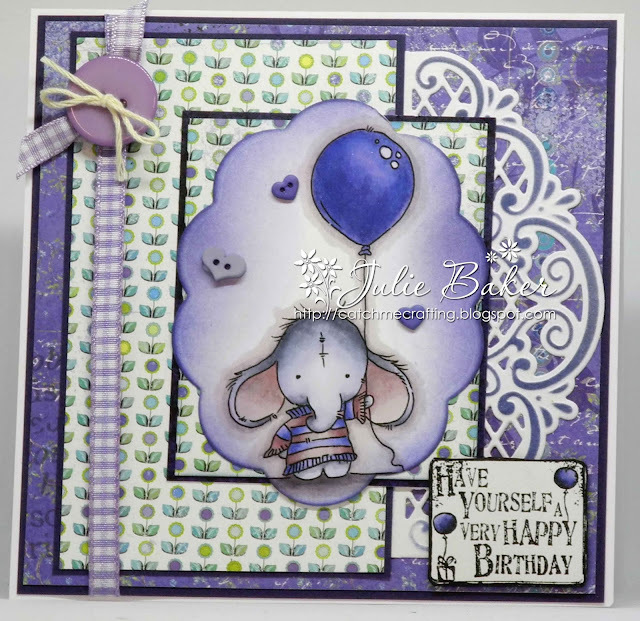 It's Tuesday so it's new challenge day at Passion for Promakers with a great theme of Make It Cute as chosen by our lovely Sue. 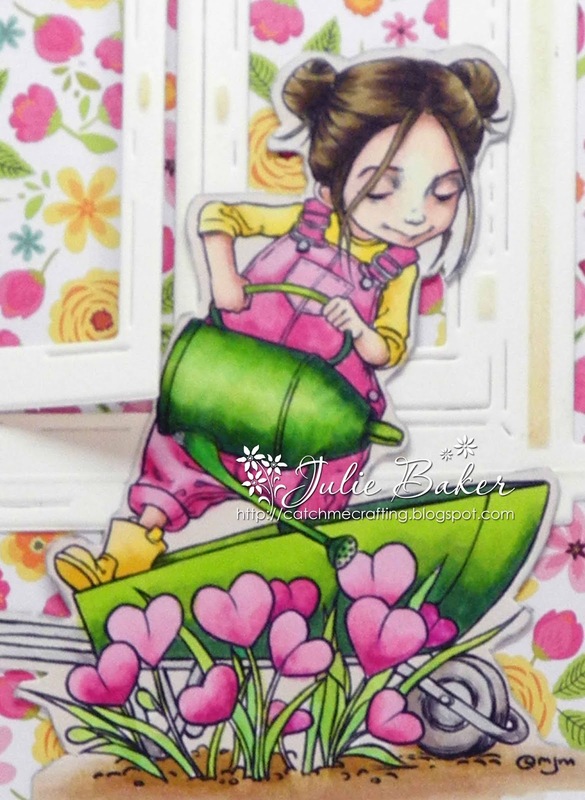 This little digi Ellie from Lili of the Valley seemed to fit the brief perfectly! I've used some old Memory box papers and then just added the Marianne Flourish border for a bit detail - catalogue number LR0269. The sentiment is also from a Lili of The Valley set. 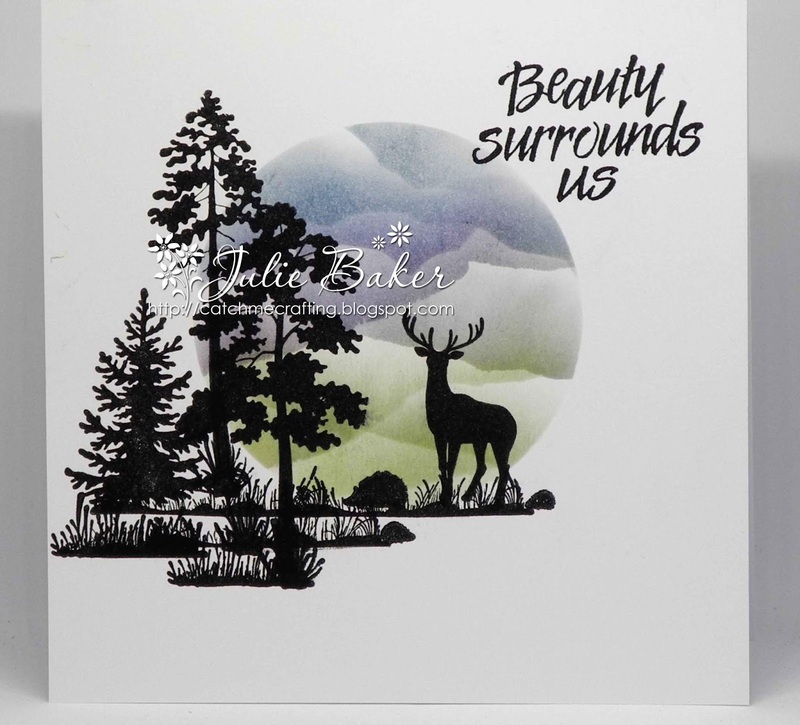 Our generous sponsor this week is Crafty Sentiments Designs and they are offering one lucky winner 3 digi images of their choice from their online store. 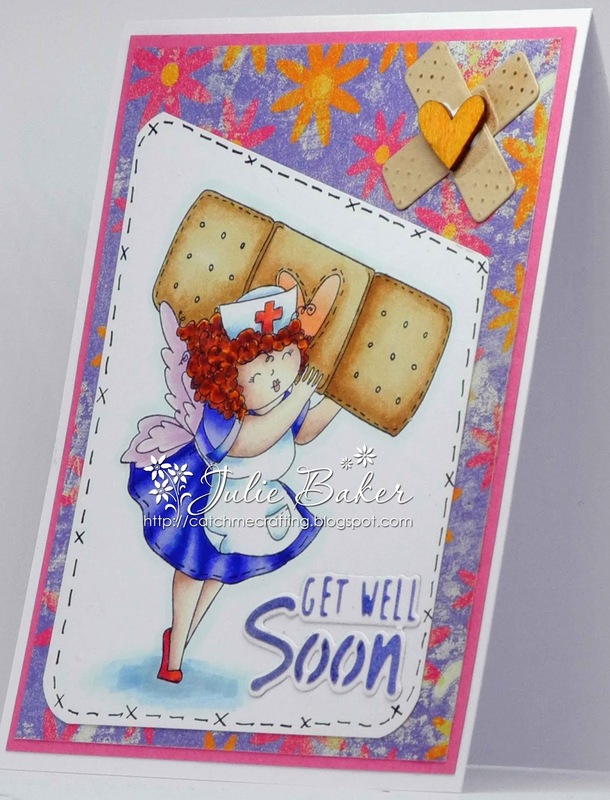 Some of the design team were lucky enough to use images from Crafty Sentiments designs on their creations this week. 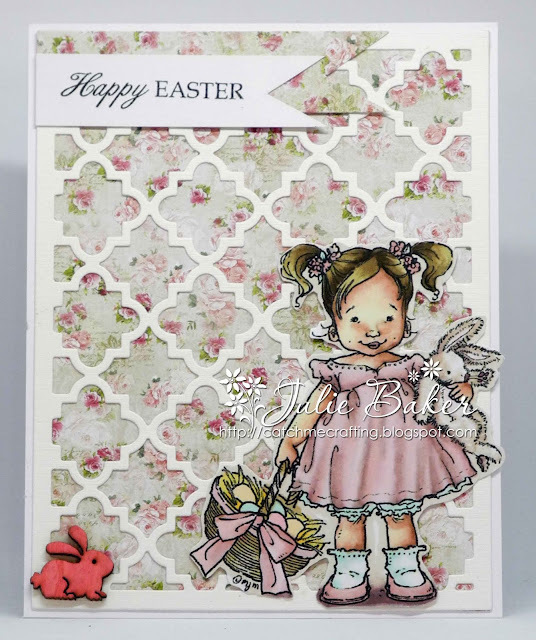 Some of my teamies have worked with a few cuties from Crafty Sentiments so check them out here and then come and play along with our challenge. 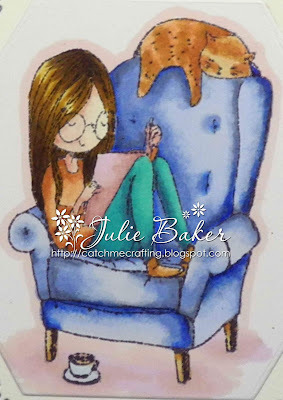 Today's card is for all you cat lovers out there made with a whole host of new April 19 release goodies as well as some golden oldies. I love the new cat dies and kitty stamp along with the new papers and they match perfectly with the older knitting set from Marianne. 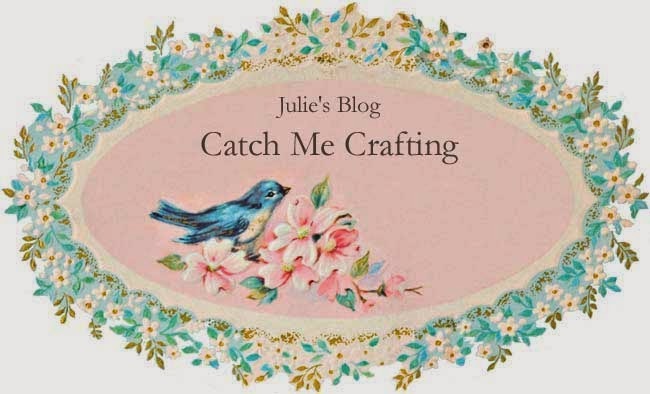 There's a full list of products used below and if you want further details of my make you can find them here on the Marianne Design Team Inspiration blog. Eline's Kitten Border Stamp - TC0873 - NEW! Summer Picnic Papers - PB7056 - NEW! Cat Dies - LR0591 - NEW! 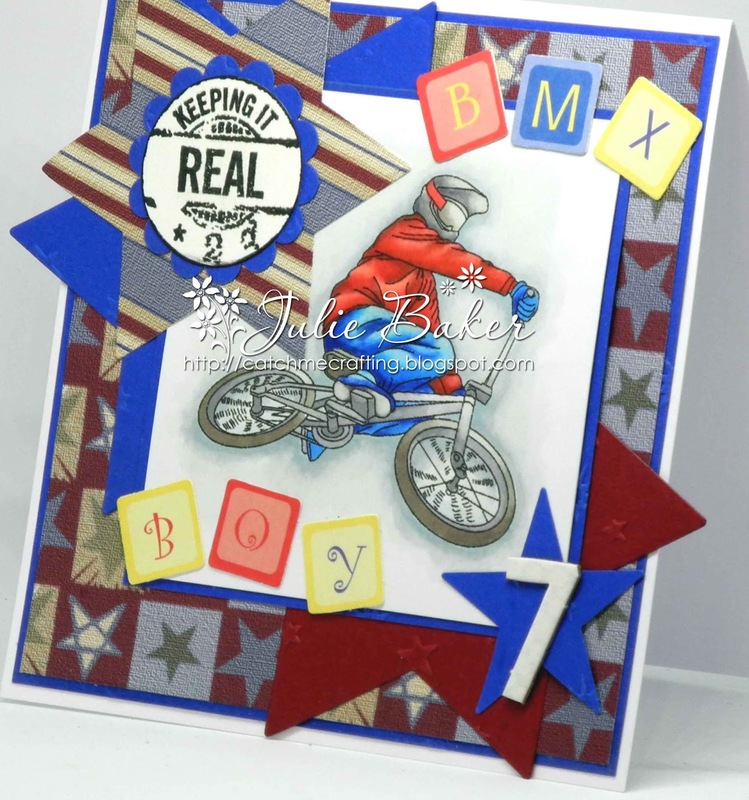 Another boy card today - for one of my lovely little great-nephews recently. I have to say, I feel so rotten with this cold at the minute that I'm late posting this today. 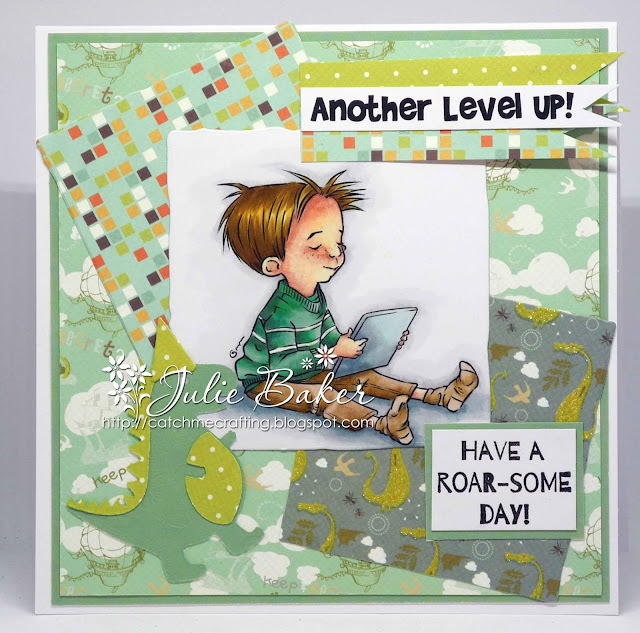 Anyway, this is Evan with Ipad from Mo's Digital Pencil and comes with the Level Up sentiment. 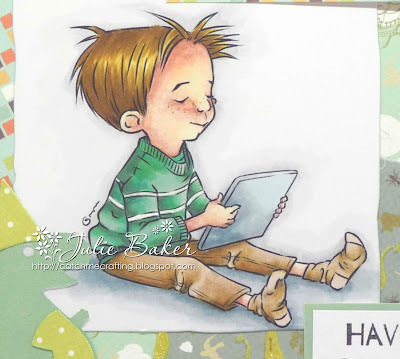 It does amaze me seeing all the littluns with technology - they are so comfortable with it- well of course it's never not been there for them! Have a great weekend everyone - don't forget about the clocks changing here in the UK and enjoy Mother's Day tomorrow if you are celebrating! 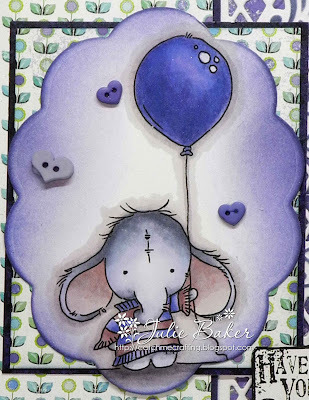 Did you see this lovely stamp set from Making Cards Magazine a month or so ago- such cute images and I love this for the reader in your family! The papers are Maja design and were an absolute bargain at Make- It Farnborough in February!! I snagged about 5 sets for £10 - need them like a hole in the head but they were Maja!! 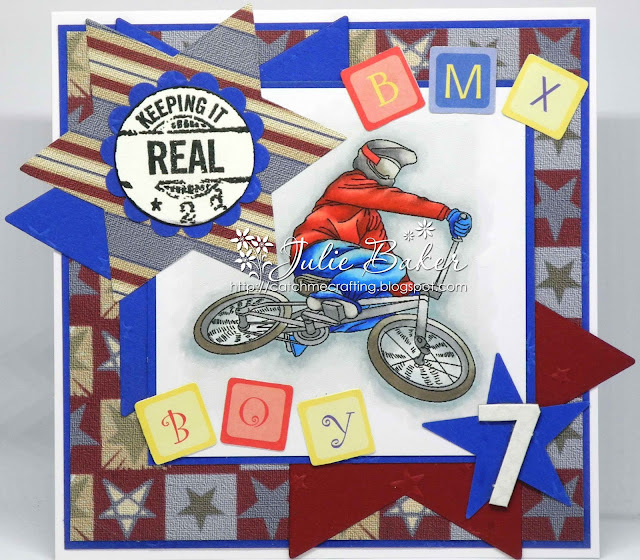 The hexagonal frame is Marianne from their Craftables range - CR1444, is the catalogue number, and the sentiments are a mix of PTI and umm something else. I'd go and look but I have a dreadful cold and don't feel like doing much of anything!! Might manage to venture into my craft room later but it needs a tidy so I just don't know!! I rearranged my 6 x 6 paper pads recently too and came across this fab Mayberry pad from American Crafts! 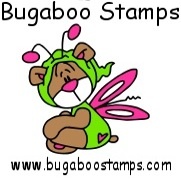 Our sponsor this week is Bugaboo stamps and they are offering one lucky winner a $12.00 voucher to spend in their online store. 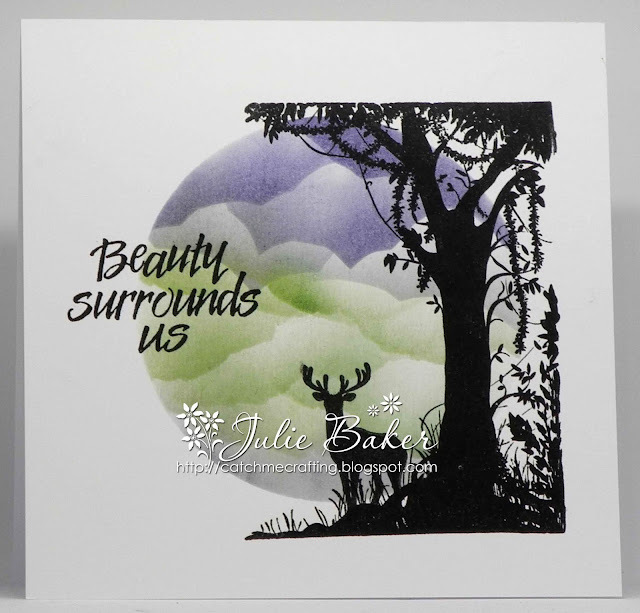 Some of the design team were lucky enough to use images from Bugaboo stamps on their creations this week so hop on over here to see them. For anyone feeling a bit poorly out there this Stamping Bella nurse is sure to cheer you up! 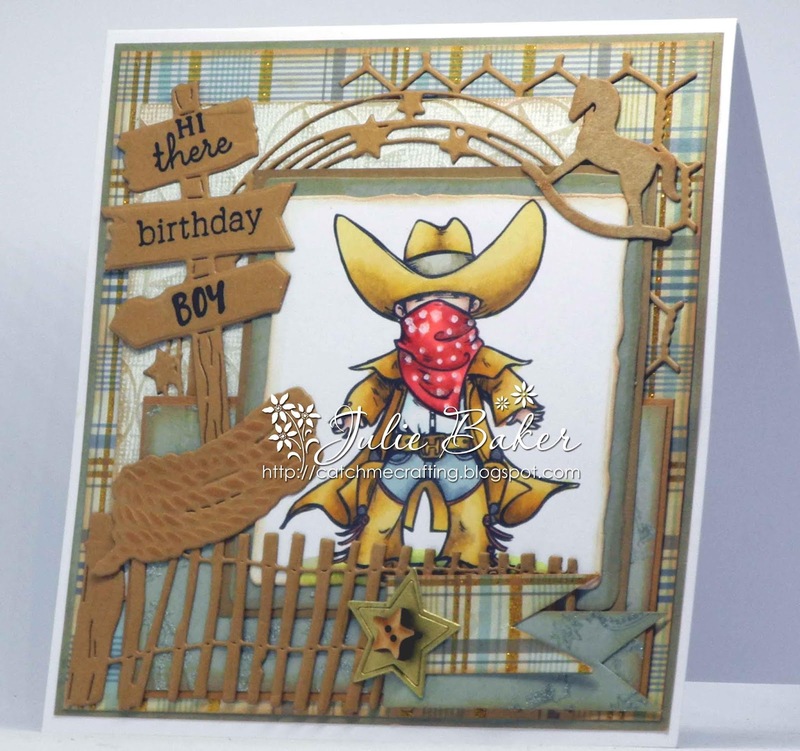 Best matey bought it at Make-It Farnborough last month and I may had stamped it off!! The sentiment and plaster dies from Marianne suited it perfectly! 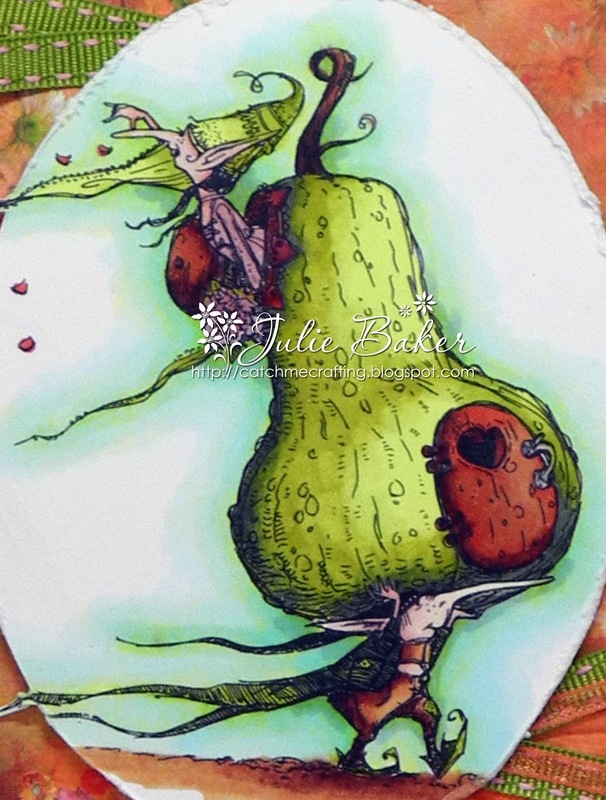 And this is one of those rare occasions of colouring up the image first and then finding the perfect paper to match!! Also a little hand doodling to match the plaster stitching. 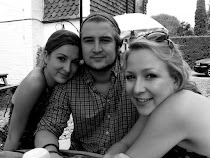 My baby girl is home from Uni for the week today - woop woop!! 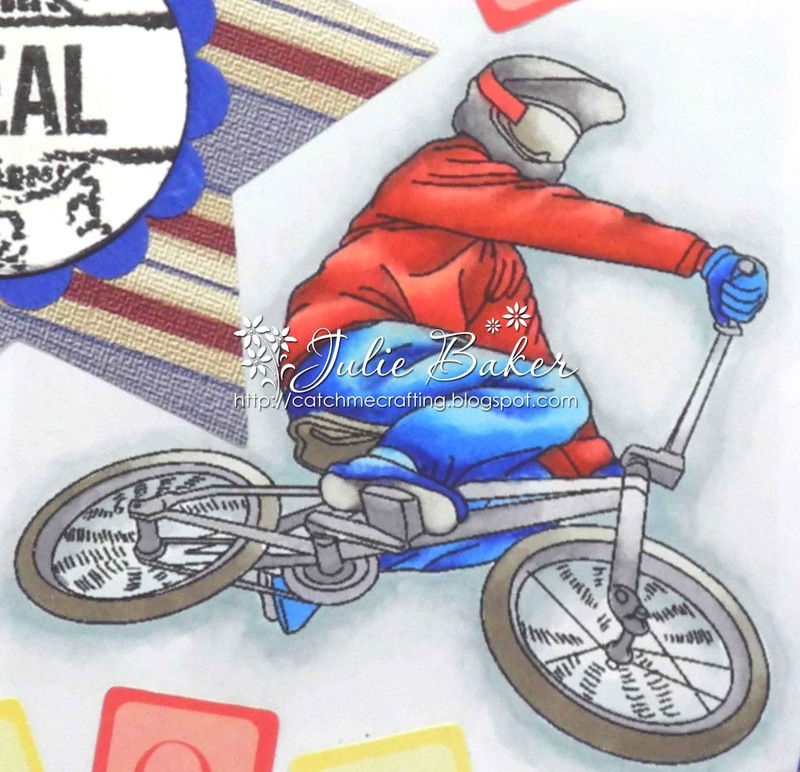 I made this card for our great-nephew was seven recently and loves his bike and loves going on the pump track near here when he comes to stay. 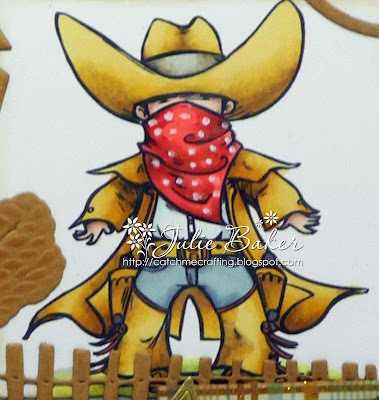 I found the image on free colouring page sites and went from there. 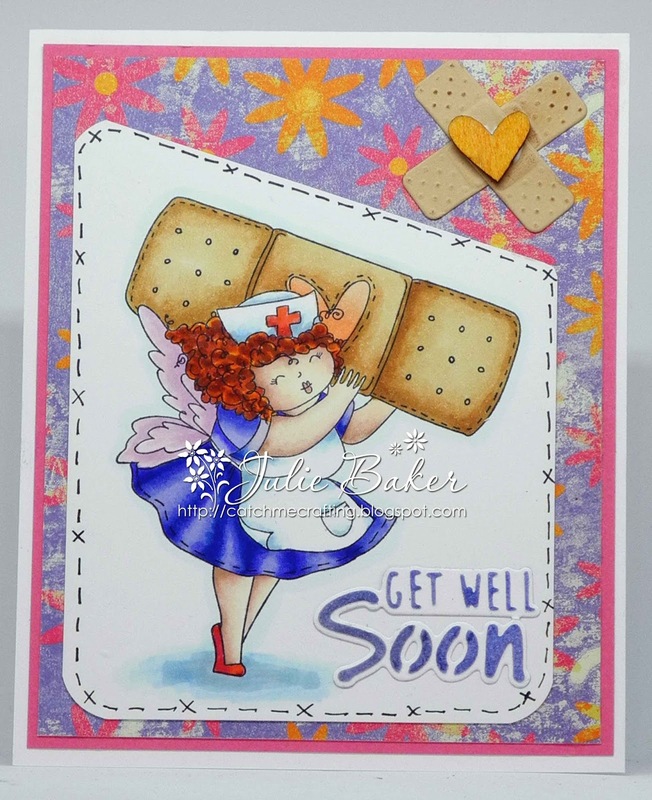 I managed to fit in a Marianne die too - Marianne Star Die - CR1421. That's me done for now - we have Violet here and she's hungry!! Mo Let Love Grow with Marianne Designs March release!! I love this image from Mo's Digital Pencil - Let Love Grow she's called. And when I got my new goodies from the March release from Marianne Designs, I just knew she'd look good with them! 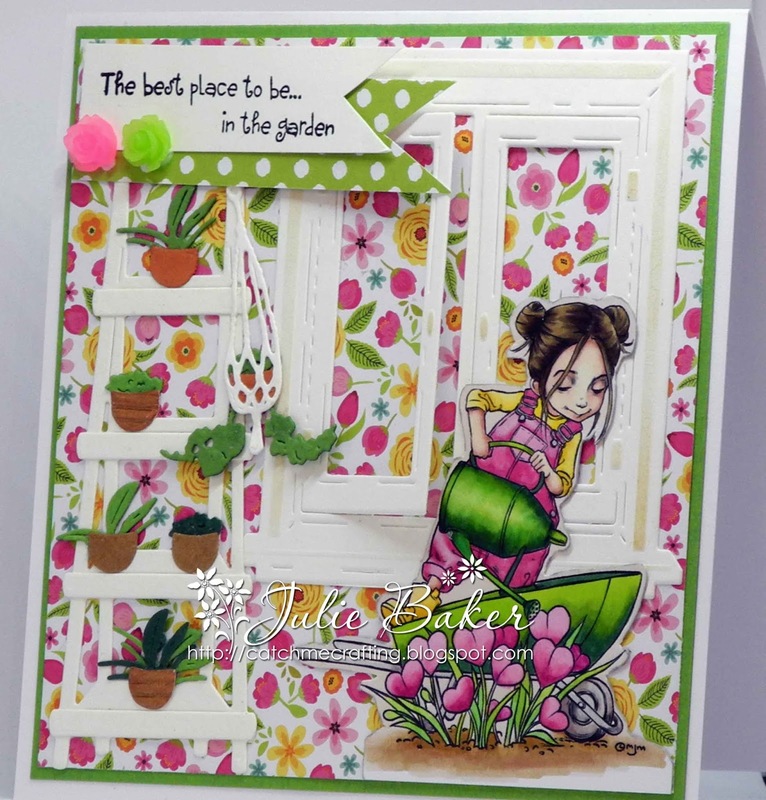 I especially love the papers, oh and the stepladder, oh and the cottage window!! Full details below. 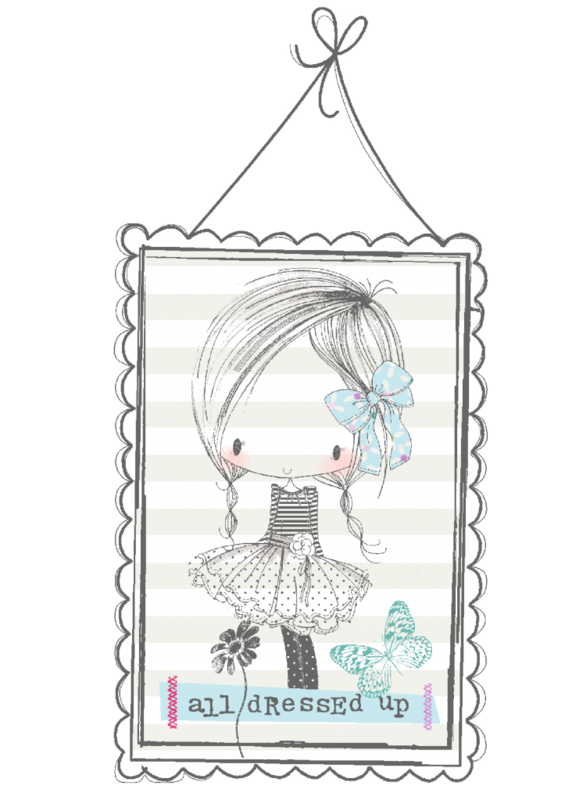 And one of my favourite shops, Crafts U Love here in the UK, have the March release in now! I've got to get on with housework today as our Em is home for the week from Saturday to help celebrate Violet's 3rd birthday - she's so excited, and took herself off to my craft room today and chose the card she wanted for her birthday!! 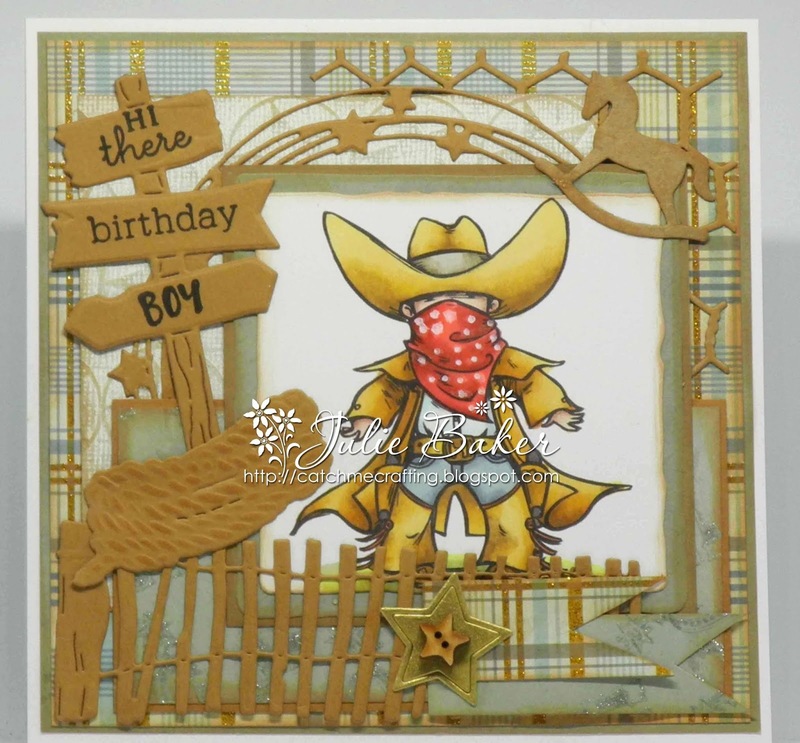 Today's cards were made with Marianne Silhouette stamps and distress inks. There are several sets to choose from and it's great to be able to mix and match the sets. Full list of the different sets below. I especially love this fab tree in the card below. 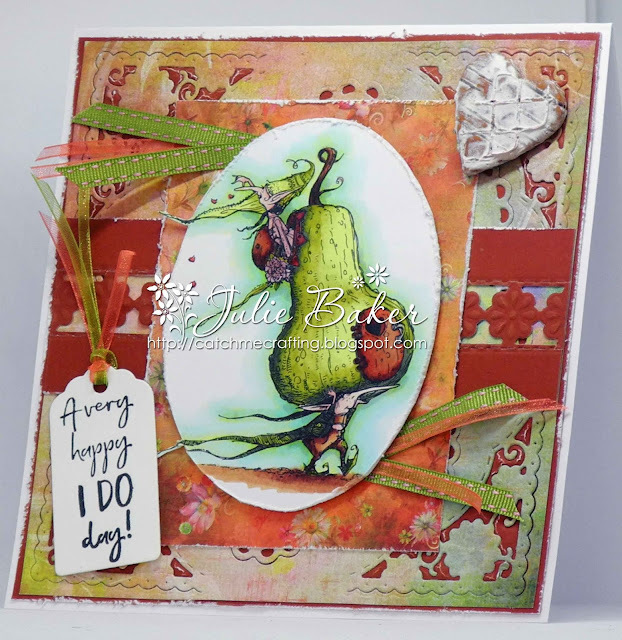 The sentiment stamps are from various makes that I have in my stash. Another Mo cowboy from me today - this is Texas and he looks pretty twitchy so don't move to fast! You can find him here in Mo's store. 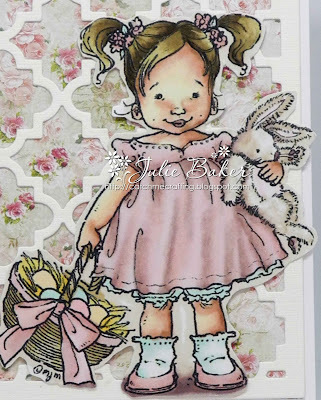 He's got a full load of Marianne dies too - listed below, along with some of the other products I used. 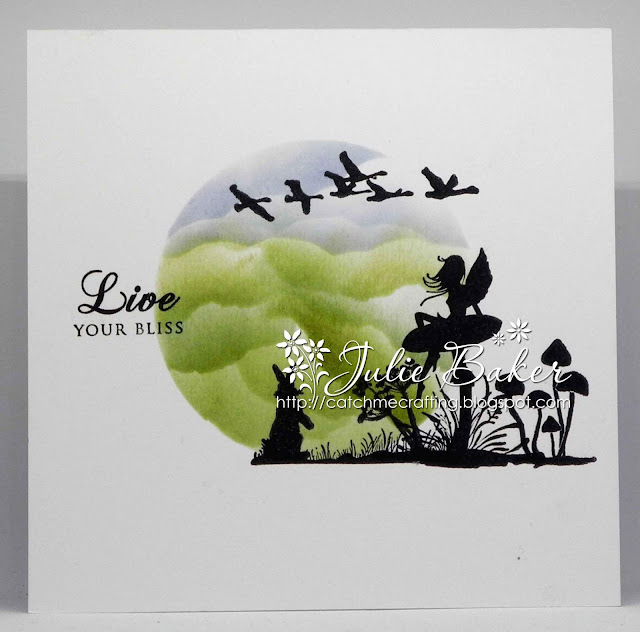 I love the simplicity of these types of cards and I love this Lavinia stamp and how you get an extra teeny stamp for the dandelion seed head to blow away in the wind, I inked through an oval with distress inks and I think the stamp is Paper Trey Ink although I can't remember now for sure! February Release and Hop Day! Messy Old Doings...the makings of the untidiest person on the planet !